Whether your talent is in art, music, cooking, dancing, business, sports, writing, exploring, inventing or daydreaming about any of the above, all of us have an innate desire to exert our God-given creativity to have an impact on others. While many people seek material success as an end in itself, the success that we seek uses material things to achieve spiritual ends. In contrast to some faiths, which disdain the material world, Divine Principle affirms the value of technology, as long as it is used for ends that truly benefit others. While some young people know from an early age "what they want to do" in their lives, for others their purpose in life is still not very clear. My advice is: have patience! My wife, Miho, is an avid gardener. Some of the flowers she plants bloom right away in the Spring. Some don't bloom until the Fall. Some extremely beautiful ones take years before you see anything. People who have a positive attitude and a willingness to get involved, to learn and to work hard will always be needed. As long as you act in these ways, you will be welcomed and able to inherit the knowledge and expertise of others, possibly leading to a fulfilling lifelong career or just a richer mental life. This is true whether you are 25, or 52. I think one of the most important qualities needed for success is curiosity, meaning an intense interest in the world around you. 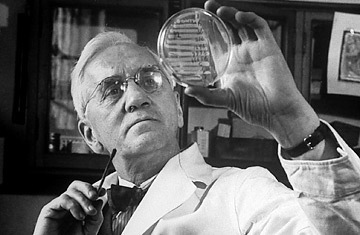 Nearly 80 years ago, if someone named Alexander Fleming had not been curious about a mold that seemed to kill some bacteria and instead had become angry because some negligent lab assistant had allowed a culture of bacteria to be contaminated, the world might have had to wait much longer to receive the benefits of penicillin, an antibiotic that has saved tens of millions of lives. He paid attention to what could have been perceived as a failure (a contaminated bacterial culture plate). You could say that failure became his teacher. All of us make mistakes and fail, in one way or another. If we study and learn from our failures we can become experts, just like Alexander Fleming. Another essential quality is focus. I love reading Reverend Sun Myung Moon, As a Peace-Loving Global Citizen, with its many examples of his intense focus on mastering new skills, whether it be catching eels with his teeth or researching what kinds of fishing techniques work best for catching blue tuna, or in designing seaworthy, efficient boats for deep-sea fishing! But he wasn't a success in the beginning. In some cases it took months or even years for him to perfect a new way of doing things. It's amazing what you can learn when you take the time to really focus in a particular area.